Sometimes while working or playing a video game on the Windows 10 operating system, getting the error “Your PC ran into a problem and needs to restart” error message? Then this article is for you here check out the complete information about the error and how to fix ‘Your PC ran into a problem Windows 10”. Most of the Windows 10 users are reporting the error “Your PC ran into a problem and needs to restart” while working or running a high graphics game or video game. This is very irritating and found that commonly appear due to accidental deletion of the specific program or the registry files from the System 32 folder in the Windows partition. And due to this the computer totally becomes unresponsive to the user commands and after the percentage measurement is completed the system restarts automatically or freezes. And the only way to close and restart Windows is to make use of the computer’s power button. 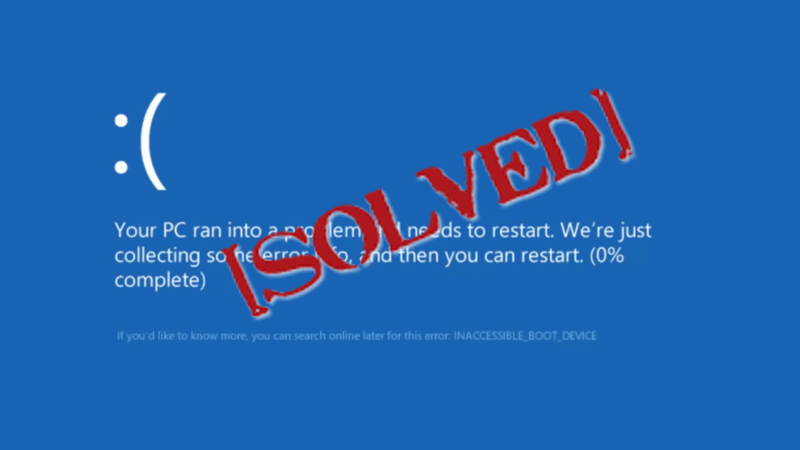 So, in this article, I am going to describe how to fix your pc ran into a problem and needs to restart stuck in Windows 10. “Your PC Ran into a problem and needs to restart. We’re just collecting some error info, and then we’ll restart for you” is a blue screen error that pop-up when the computer restart. This is a real trouble as you cannot log in or access the computer. Well, this is a very frequent error as this holds a broad range of issues. But the good news is, this can be fixed by following the number of possible solutions. But before moving further check out the possible reasons responsible for the error and after that follow the given fixes. Or due to improper shutdown of the system, including forceful shutdown. Changes in the registry that might create confliction. These are some of the common reasons that cause the Windows 10 your PC ran into a problem error. So, here check out how to fix the error. If you are unable to login into Windows 10 then try rebooting Windows 10 operating system in Safe Mode. As you reach the login screen, hold the Shift key and select Power > Restart to enter in Safe Mode. Now a blue troubleshooting screen appears. Now from the Advanced Boot Options list > choose Safe Mode. And follow the given steps to fix the error. Sometimes due to the corrupted Windows system files users start getting the error in Windows system, so here it is suggested to run the SFC scan to fix the error. Hit Win + X key and select Command Prompt (Admin). Now in the Command Prompt window > type ‘sfc /scannow’. Wait for the whole scanning process to complete. The error can be related to outdated, incompatible or corrupted device drivers. So, updating the drivers can do the magic to fix the error. Commonly the display, wireless and Ethernet adapter drivers are the one that you need to pay attention. To update the drivers open the Device Manager in Windows > select either the Update Driver Software or Uninstall. Or else to update the drivers visit the Manufacturer website or to the Microsoft official website and check for the latest driver compatible with your Windows system or else update them with the latest update. Despite this, you can make the whole process easy by making use of the Driver Booster to update the drivers automatically. Many users confirmed they are getting the error due to the memory issues, so modify the memory dump settings to fix the windows 10 your pc ran into a problem error. Now under Start-up and Recovery topic > left-click on Settings. Then under the System failure topic uncheck the box next to Automatically restart. And left-click on the OK button > left-click on Apply button for saving the changes. If none of the above-given fixes works for you then try performing an automatic repair in Windows 10 to fix the error. In the Windows Boot Options menu > select Troubleshoot > Advanced Options > Startup Repair. Next, choose the target operating system and Windows will initiate the repair process and restart the system when it completes the whole scanning process. Hope this works for you but if the error still persists then check the registry issues. As it is said above that the error might be related to registry issues, so restore the registry files to fix the error. And go to following location “C:\Windows\System32\Config\RegBack“. Now copy the following files “Default“, “SAM“, “Security“, “Software“, and “System” to the earlier directory that is “C”\Windows\System32\Config“. Before copying the files to the Config folder > please take the back from the Config folder. As you restore the registry files > restart your system. Now the registry will start normally and hope “Your PC ran into a problem and needs to restart.” error is fixed or not. If none of the above-given solutions works for you, then perform a system restore to rolls your desktop back to the previous date. Press the Win + R key > to open Run. Now enter ‘rstrui’ > press OK.
Press Next > Finish buttons to restore Windows. Check if after following the manual fixes you are able to fix Your PC ran into a problem Windows 10 or not. If not then feel free to make use of the automatic repair tool. Sometimes due to internal major issues you are unable to fix the Windows 10 errors manually. So, in this case, it is worth to make use of the Windows Repair Tool, this is the best tool that just by scanning once, detect and fix the Windows errors and issues. This is the best tool and designed with the advanced algorithm that scan, detect and fix the error automatically. 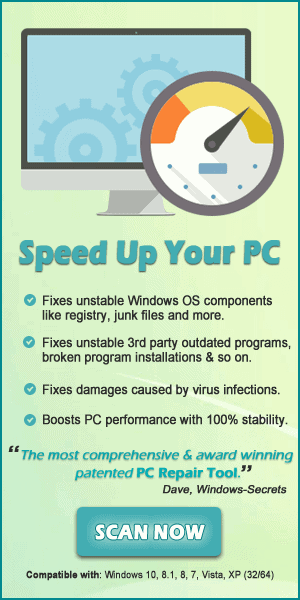 With this quickly fix corrupted Windows system files, malware/virus, Registry error, PC error, Network error, hard Drive, prevent you from file loss and many others. 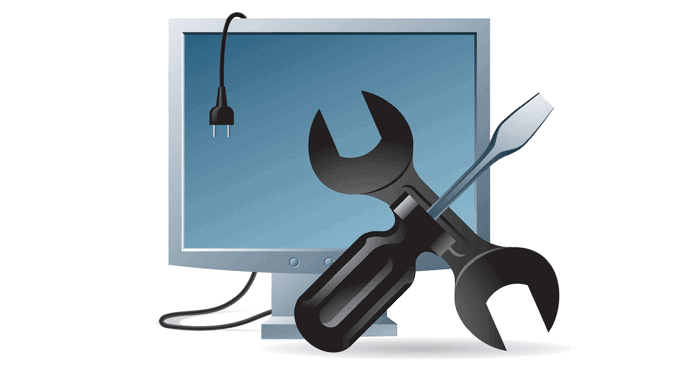 This not only fixes the error but also optimize the Windows PC/laptop performance. It is estimated that after following the given fixes you are able to fix the “Your PC ran into a problem and needs to restart” Windows 10. Moreover, also make sure to install latest Windows 10 updates, delete the temporary files, scan your system with a good antivirus program and uninstall the unwanted applications at the regular interval of time to make your system perform better.